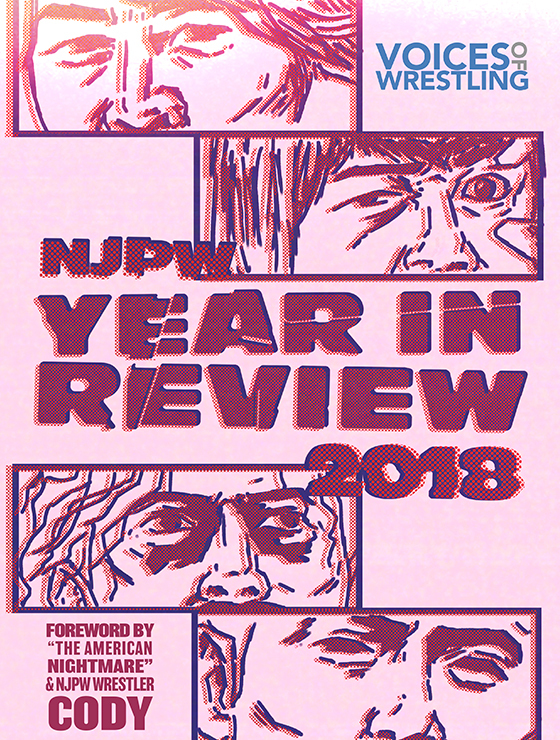 In the months building up to New Japan Pro Wrestling’s Power Struggle show in 2017 vignettes featuring books and knives were intermittently appearing on New Japan broadcasts announcing that “Switchblade is Coming”. The rumor mill was turning as always and a lot of people believed this would be Sami Callihan because of the fact that the videos had a similar feel to his character from Impact Wrestling. 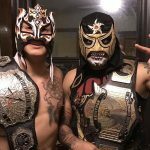 There were also some rumblings that it was potentially the return from excursion of Jay White. On the night of the show, fans were surprised when the babyface New Zealander turned up with greasy hair and kitted out in a long leather jacket. He proceeded to attack Hiroshi Tanahashi and challenged him to a match at Wrestle Kingdom 12 for the Intercontinental title. White looked uncomfortable in the role as he had always played the role of the young up and coming underdog. At Wrestle Kingdom 12, Switchblade and Tanahashi wrestled what would be considered a disappointing match between the two and coming out of the Tokyo Dome a lot of experts were down on White’s ability to carry off this complicated character. What we should consider is the fact that White’s first non-young lion matchup in New Japan was at the promotions, biggest annual show and against the man considered an icon within the promotion. 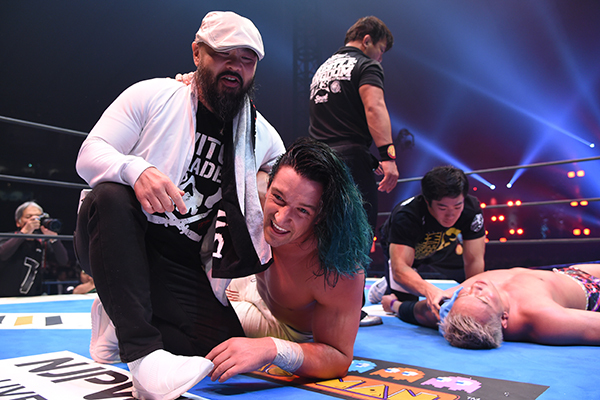 Yes, White came up short, yes, the match was poor compared to Wrestle Kingdom standards, but New Japan Head Booker Gedo had made it clear to the world that Jay White was an important cog in New Japan’s future. If this wasn’t clear enough on January the 4 then what happened at New Year Dash on January the 5 slammed this home. Kenny Omega and the Bullet Club were clearly having issues and the Best Bout Machine announced that he knew exactly what the Bullet Club needed to re-bond them; “Switchblade” Jay White. Potentially foreshadowing the future when the New Zealander stood in the ring and accepted the T-shirt from Omega it did seem like White was a perfect fit for the stable. But what happened next blew the roof off of Korakuen Hall as White hit Omega with the Blade Runner and threw down the t-shirt announcing that he wanted no part of this Bullet Club. At a press conference on January 6, Kazuchika Okada announced that Jay White had joined CHAOS and the birth of the true heel character of Switchblade. Walking into the room after Okada announced him White stopped and stared at the Rainmaker’s IWGP Heavyweight Title a bit too longingly for Okada’s liking and then slowly slide it over to the champion with a patronising tap on his chest. In the interview, White came across like a dirtbag and challenged Omega for a match at New Beginning for the IWGP United States Championship. In more foreshadowing White called out Tama Tonga and Bad Luck Fale for being Kenny’s lapdogs. To finish off the interview Switchblade also made it clear that he was only joining CHAOS to benefit himself and that somewhere down the line he was coming for Okada and he would defeat him. The full version of the Switchblade character was born that night. White came across as a slimy heel who didn’t care who he steps on to get to the top and 2018 would build off of Switchblades words in this press conference. At the New Beginning in Sapporo White faced Kenny Omega for the United States Title. Watching this match again should be a must, the story both men told had wider effects on the landscape in New Japan. White started strong and was cockily mocking Okada, who was at ringside doing commentary for the Japanese announce desk. The true story kicked in when Omega took control around the fifteen-minute mark. Kenny brutally beats on White in a performance reminiscent of a 1980s Squash match involving the Road Warriors. Kenny even went as far as screaming at White that Switchblade “is not and will never be in [Omega’s] league”. Omega connected with so many V-Triggers and Snap Dragon Suplexes that the viewer was begging that Red Shoe’s Unno stop the match as White seemed as though he wouldn’t give up. When Switchblade connected with two Bladerunners out of nowhere there was a collective gasp as Unno hit the three count. The story being told was that White was no longer a Young Lion and going forward should be considered a top of the card performer and that underestimating him as Omega did could end up with grave consequences. After two successful defenses of the United State Title, Jay White would face Juice Robinson at the G1 Special in San Francisco. The match was a knockdown, drag-out brawl where both men used the ringside area and especially the barriers as weapons (which caused an issue when a suplex by White forced a barrier into the English announce table and causing Jim Ross to fall and injure himself which then prompted Josh Barnett to jump into the ring to attempt and confront White). The majority of the match was dominated by Switchblade with him, especially focusing on Robinson’s injured left hand. Both men exchanged finishers, but the match ended when Juice rolled up White from behind for the surprise three count. 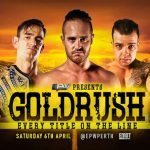 As much as White’s title win against Omega was a signal of New Japan’s intent to push Switchblade to the moon his subsequent defenses against Page, Finlay and Robinson sadly smacked of midcarder status. This all changed with the start of the G1 Climax. Switchblade was drawn in Block A with Kazuchika Okada, Hiroshi Tanahashi and Minoru Suzuki all being considered higher in the pecking order than White. But on Night One New Japan again showed that Switchblade is somebody they are planning big things for. Back in January 2018, White warned Okada that one day he would be coming for him. This started during the matchup between the Switchblade and the Rainmaker in August. It was surprising just how dominant a victory White achieved and it was again a case of New Japan sending a clear message that Switchblade was the future of their main event. On Night Three of the G1 White then faced Hiroshi Tanahashi in a Wrestle Kingdom rematch and it was plain to see just how far Switchblade had come in seven months. He no longer appeared uncomfortable within the character and his heel in-ring work is a lot stronger. The two had an excellent match and White pinned the Ace in what would turn out to be Tanahashi’s only lose on route to winning his third G1 Climax. In the press conference after defeating Kota Ibushi in the finals, Tanahashi announced that he would be giving the two men that he dropped points against the opportunity to challenge for the Tokyo Dome Contract. The first would be Kazuchika Okada (Who went to a thirty-minute draw with Tanahashi) and if the Ace was successful then he’d defend it against Jay White. At Destruction in Kobe Tanahashi and Okada again had an excellent match in which Tanahashi came out the victor. After the pinfall White ran down and hit Tanahashi with the Blade Runner. He then turned around and attacked Okada finally confirming his departure from CHAOS. Whilst beating down on Okada with a chair the Rainmakers long term manager Gedo ran down to the ring and snatched the chair from Switchblade, only to then turn around and strike Okada and align himself with White. After the match, Gedo stated loud and clear that the New Era of New Japan had started and that Jay White was the future not Okada. At King of Pro-Wrestling, White got his opportunity at Tanahashi’s Tokyo Dome Contract. This was the best match so far in the series between the Ace and the Switchblade and the introduction of Gedo as the irritating interfering corner man gave extra drama to the match that the previous two outings had not shown. At points, it genuinely looked like New Japan might actually pull the trigger and have White come out as the winner. But it wasn’t meant to be this time and Tanahashi confirmed his place in the Wrestle Kingdom 13 Main Event against Kenny Omega. After the pinfall, Gedo and White continued the attack on The Ace until Kazuchika Okada ran in the save, his long-time rival and fight off his former manager and stablemate. Out of the back came the Bullet Club OG’s who sided with Switchblade by attacking both the Rainmaker and Tanahashi. Later on, in the week Tama Tonga announced that White was the new leader of the Bullet Club. This move confused a lot of fans, White had made it very clear in January that he wanted no part of the Bullet Club, but now in October, he was joining up with the stable. This move actually makes sense if you read between the lines. At the press conference, Jay questioned whether Tama Tonga and Bad Luck Fale were happy in Kenny Omega’s Bullet Club and that he admired the way they go about business but just not the godlike worship they gave Omega. Also, Jay White was scouted by Fergal Devitt, the Founder of the Bullet Club and was originally contacted by Bad Luck Fale. Going into Wrestle Kingdom Switchblade finally had some legitimate backup and was heading into the biggest match of his career against Kazuchika Okada stronger than ever. 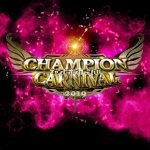 In the Tokyo Dome the match was billed as part of the Main Event’s alongside the Omega/Tanahashi and Jericho/Naito matches and it was clear that this match had the big fight feel about it. As Gedo and Switchblade made their way to the ring the crowd heat was incredible. The pop when Okada came out and revealed that he’d reverted back to his old Rainmaker style gimmick shook the Dome. The match was back and forth and potentially the best match of Jay White’s short career so far. The match was quite short only clocking up fifteen minutes and the potential for an even better and longer match is still there in the future. But the most telling thing for Switchblade was the fact that he picked up the win after reversing Okada’s Rainmaker into a Bladerunner for the three count. Jay White is the real deal. 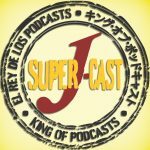 Some people are still not on board, but New Japan is All In. 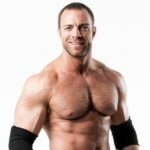 In 2018 White defeated Kenny Omega, Kazuchika Okada (Twice) and Hiroshi Tanahashi. These are the three biggest stars in New Japan and at some point, White’s path will cross with Tetsuya Naito as well. New Japan Head Booker Gedo considers Switchblade on the same tier as these four and an IWGP Heavyweight Title reign is definitely on the cards at some point. After the fallout of Wrestle Kingdom 13, White was named the number one contender and will face Tanahashi in their fourth matchup in the last twelve months at New Beginning in Sapporo on Monday. All of the matches between Switchblade and Tanahashi have gradually been better than the last and this one has the potential to be the best one so far.